This chutney, developed by Portland chef David Anderson, is rich with Indian spices and tempered by sweet USA Pears. It pairs well with roasted chicken, vegetables, or pork. In a medium saucepan, heat oil over medium-high heat. Add whole cloves, cardamom pods, cinnamon sticks, chiles, fennel and nigella seeds. Cook 1 minute or until fragrant. Add onions; sauté until browned. Add julienne ginger and garlic; sauté 3 minutes, stirring frequently. Add remaining ingredients except pears and simmer until slightly syrupy, 10-15 minutes. 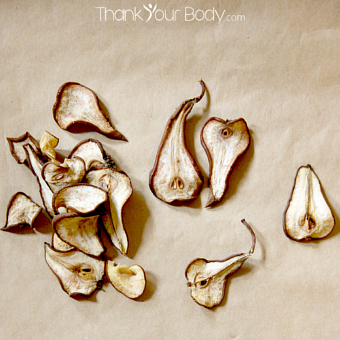 Add pears and simmer until tender but still hold their shape, 15-30 minutes depending on ripeness of pears. 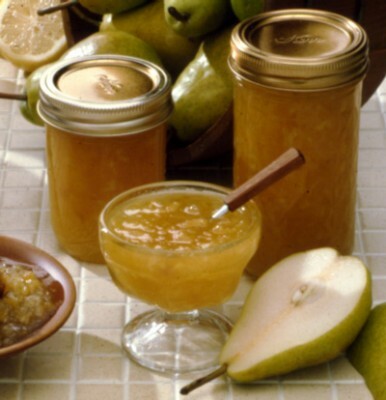 When pears are cooked, use a slotted spoon to transfer chutney to a tray to cool. If desired, remove large pieces of whole spices. Return any remaining liquid to stove and simmer until thick and syrupy. Combine hot syrup and pears in a bowl. Cool completely to allow flavors to mingle. Serve with naan.